The nation’s first solely psychiatric hospitals opened in the late 1700’s. Throughout the 19th and first half of the 20th century, the number of psychiatric hospitals grew exponentially. 560,000 Americans were housed in state mental hospitals come 1955. For patients, conditions were often atrocious, and abuse was rampant. With the discovery of drugs and alternative treatments, and with changing ideas about funding, most psychiatric hospitals were closed.By 1980 the number of inmates was down nearly 70% at 130,000 nationwide, and psychiatric beds per 100,000 citizens dropped from 339 in 1955 to 22 in 2000. Many mental hospitals were sprawling and architecturally interesting campuses. While many have been abandoned and even demolished, many have also been renovated and repurposed for new generations to utilize and explore. 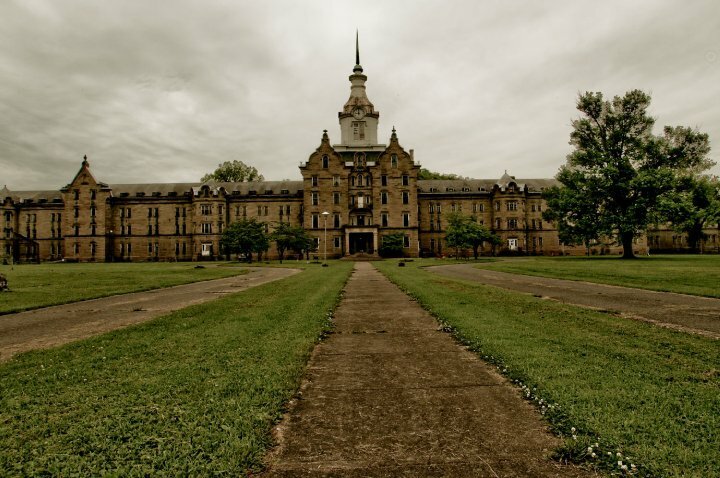 Here’s our list of ten redone mental hospitals, it’s filled with National Historic Landmarks and paranormal activity! 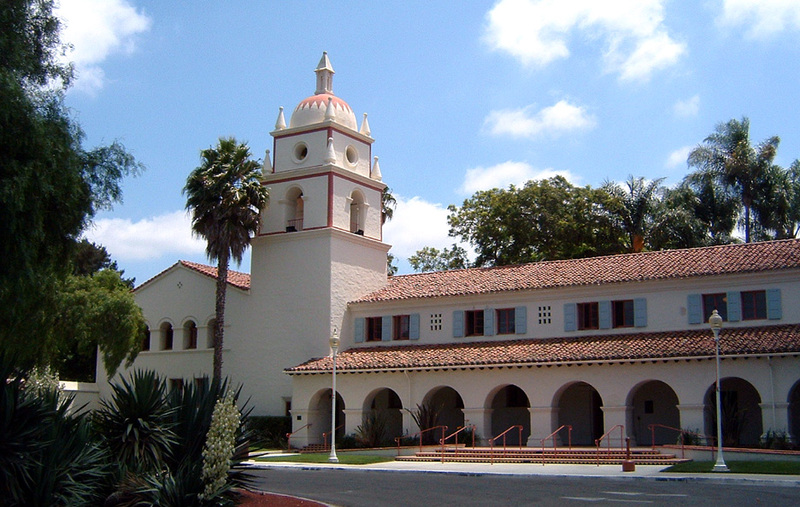 This 80 acre campus originally known as “the Great Asylum for the Insane” was rebuilt after an earthquake in Mission Revival and Spanish Colonial Revival style. 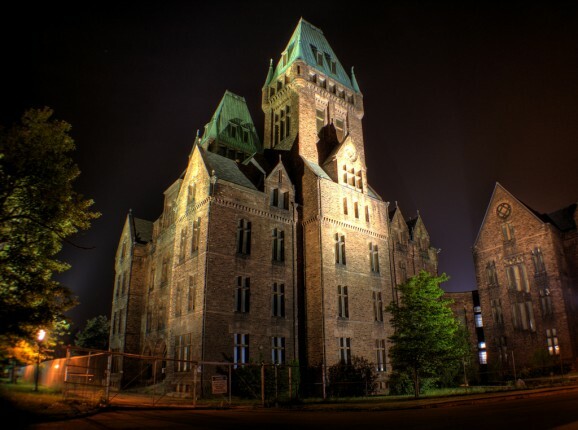 Originally having its own train station for the transportation of inmates, this 1885-built asylum closed its doors in 1998. At the same time, Sun Microsystems bought up much of the west campus to use as its corporate headquarters and R&D complex. Sun agreed to restore 4 buildings of this National Register of Historic Places registered campus, including the auditorium, the clock tower, the administrative building, and the superintendent’s villa. Rivermark master planned community also bought some of the land. Some buildings are open to the public, and the campus is currently used by Oracle Corporation as a R&D facility and conference center. Is it haunted? Yes, it is a popular destination for ghost hunters. Built in 1932, Carmarillo State Mental Hospital was at the forefront of treating illnesses previously thought to be untreatable illnesses, such as developing drug and therapy procedures for schizophrenia. Carmarillo also had one of the first hospital units to deal with autism. As mental hospitals were emptied through the later 20th century, rising costs per patient and too many empty beds forced Camarillo to close. Like several other mental hospitals on our list, the space was originally meant to become a jail. Protests, however, led to the eventual purchase of the campus by the University of California System as a home for UC Channel Islands. This national register of historic places listee was in operation from 1874 to 1993. Patients included Civil War veterans, children, and violent criminals suffering from mental illness. The facility, which quickly grew to hold over 1,000 acres of land, also had livestock, farm fields, gardens, an orchard, a dairy, and a physical plant to generate steam heat. The facility was known for performing large number of lobotomies, as well as other discredited practices such as hydrotherapy, electroshock therapy, and psychotropic drugs. By 1993, many buildings had fallen into disrepair due to lack of a stable funding source. Ohio University took over much of the campus, restoring many of the buildings and demolishing “cottage a” a tuberculosis ward riddled with asbestos. Is it haunted? Yes, many claim it is. This massive red sandstone and brick hospital was built in 1870 and housed patients until the mid 1970’s. Deemed a National Historic Landmark almost two centuries ago, the disrepair of some of the buildings has been subject to a lawsuit against the state and the consequent $100 million dollar plan to restore the architectural landmark. Community support has continued with volunteers maintaining spotlights on central towers at night, and a full-time security guard. In 2013, first stage plans to reuse the space as a boutique hotel, conference center, and architecture center were set in motion. Some of the facilities lawns have been re-landscaped and are open to the public. This hospital opened its doors in 1848 to five patients and expanded to nearly 3,000 patients by 1928. A farm colony was created that promoted “occupational therapy” as well as an entire village, including: a chapel, amusement hall with billiards and bowling alleys, a bakery, a fire house, a cannery, and gardens. While many of the hospitals early Victorian buildings were classified as unsound and razed in the 1970’s, several original buildings persist amongst the newer generic brick housings. The Indiana Medical History Museum is now housed in and preserving the original Pathology Department building, and some of the land has been sold to developers in recent years. This National Historic Landmark is the second largest hand-cut sandstone building in the world, behind only the Kremlin. Construction on the site began immediately before the Civil War, and continued afterwards. The hospital operated until 1994. Early adaptive uses of the building included several museums devoted to military history, toys and mental health. These were shut down due to fire code violations, and show the difficulties in utilizing massive and outdated mental hospital structures. In 2007 the site was put up for auction and purchased by Joe Jordan, an asbestos demolition contractor for $1.5 million. The site now offers guided daytime tours and haunted hospital tours at night. Is it haunted? Yes, there are rumors of violent poltergeist activity. This classical revival style building was created in 1851 as Pennsylvania’s first mental hospital. With an adjacent farm and redesign through the years to the fashionable “cottage plan,” the hospital eventually encompassed more than 70 buildings and 1000 acres. The hospital was self sufficient, with a power plant, farm, and stores, yet from time to time suffered from shortages of attendants. During the Civil War there were as few as 1 nurse for every 166 patients. To this day there are over 50 buildings left on the campus, some occupied by the state’s Technology Park and Department of Agriculture offices. There is also a Dorothea Dix museum, in honor of the famous activist who helped to form the hospital. Very recently there has been talk of making the land private. Due to prime location and historic buildings, the many hundred acre campus is thought to command prices of up to $100,000 per acre. Is it haunted? Supposedly, caged balconies and underground tunnels add to the creepy vibrations. This Italianate campus created in 1881 is listed on the National Register of Historic Places, and one of the most comprehensive re-adaptations of a mental hospital on our list. 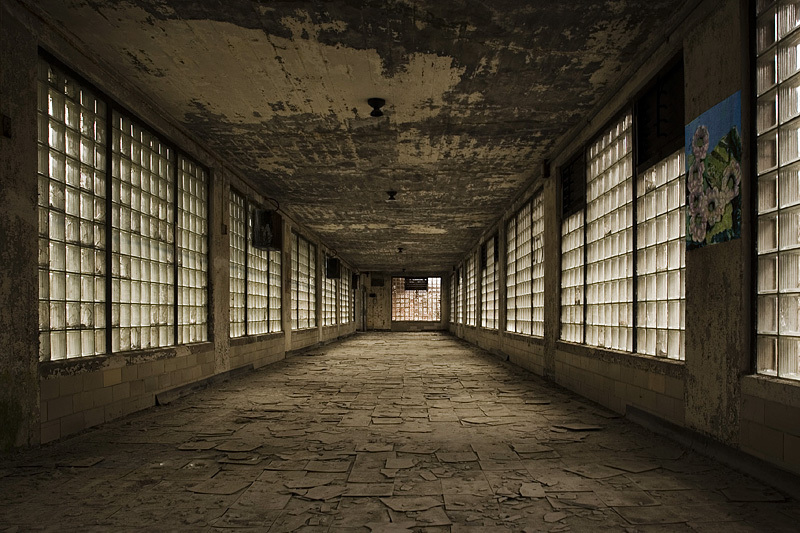 Well before modern therapeautic practices, the hospital’s superintendent believed that “beauty is therapy” and promoted green space as well as the comfort and pleasure of inmates. Straightjackets were forbidden, and work was promoted to give residents a sense of purpose. Today the hospital’s unique and light-filled atmosphere houses numerous residential and commercial ventures. This state mental hospital opened in 1872, and is home to a replacement modern hospital across the street. The State Lunatic Asylum #2 was on the route of many families migration west in the late 19th century, with many dropping off mentally ill family members and never returning. Most of the graves in the cemetery are unmarked. A large amount of paranormal activity is reported throughout the premises, particularly around the morgue and autopsy rooms. Glore’s Psychiatric Museum is located in the old morgue and autopsy rooms and is identified as one of the 50 most unusual museums in America. The museum is home to many bizarre objects, stories and pictures about the mental hospital. This hospital for the criminally insane was created in 1886, and moved to it’s current location in 1892. The facility prescribed a program of “moral treatment” in early days, emphasizing a stress-free, highly routine environment. A “colony farm” used close to 700 acres to feed the inmates and provide work therapy. Radius and phonographs were available in the wards, and patients played sports and board games. As full-time institutionalized patients declined, the facility came to house the Regional medical unit for Southern New York’s patients. Mattaweawan State hospital has transitioned in response to the larger trend of treating mental illness through the criminal justice system by using it’s space as a correctional facility. Are Online Psychology Degrees Respected? How Do I Pay for an Online Psychology Degree? How Do I Become A Psychologist? What are the Job/Salary Prospects for Psychologists?